Bursting onto the design scene in 2010, Nishi Donovan has blazed a distinctive path of creativity. Her style can be described as east meets west mod fusion. 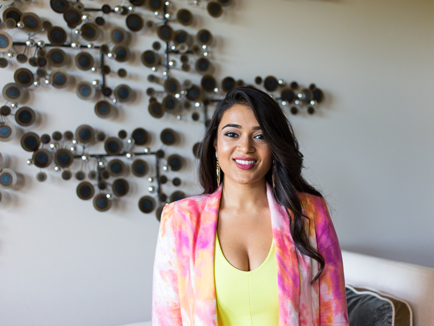 Her holistic approach is inspired by nature and fueled by the desire to create spaces that are vibrant, layered and reflect the unique personalities of each client. Nishi believes “that every space, just like a person, has a voice and the ability to communicate an individual sense of spirit and soul. Our goal is to create environments that become harmonious destinations where people flourish and stories are inspired”. Nishi’s designs have attracted residential and commercial clientele from Atlanta, Chicago, Austin, to New York. NISHI Design + Studio was founded with a focus on boutique hotels, luxury retail boutiques, salons, and high-end residential spaces all hallmarked by custom design. From constructing bespoke furnishings to designing luxury textiles, Nishi Design + Studio continues to grow its proprietary list of in house services offering their clients a truly one-of-kind experience. 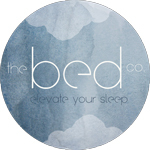 In 2016, Nishi Design + Studio co-founded, the Bed Co., a modern mattress and luxury bedding boutique located in Midtown Atlanta. With a focus on custom and curated bedding from around the world, Nishi Design + Studio has created a treat for the senses with whimsical, modern designs that are as braggable as they are liveable. Color, pattern, and inimitable style are all woven into the fabric of The Bed Co. by Nishi Design + Studio. We are curators of holistic maximalism. We believe that each part of a project leads to a greater whole and that every space, just like a person, has a voice and the ability to communicate an individual sense of spirit and soul. Our philosophy prospers when the eye extends beyond furniture and fixtures and unites the energies of people and space. We use art, artifacts, textures, and styles as our tools. We believe that more is more and layering is key. We provide a comprehensive guide of our Design Process to our clients so that our journey together is educated, informed, and most of all fun. By exploring your wants, needs, and what you love, we can provide services tailored specifically for your project. Contact our Top Luxury Interior Designer in Atlanta, GA for all your residential and commercial interior design projects.